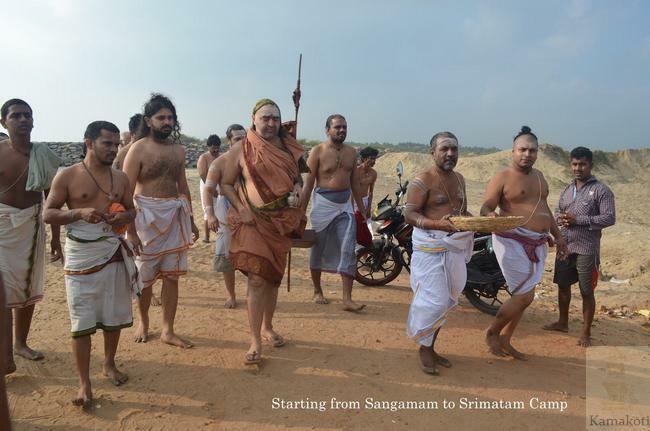 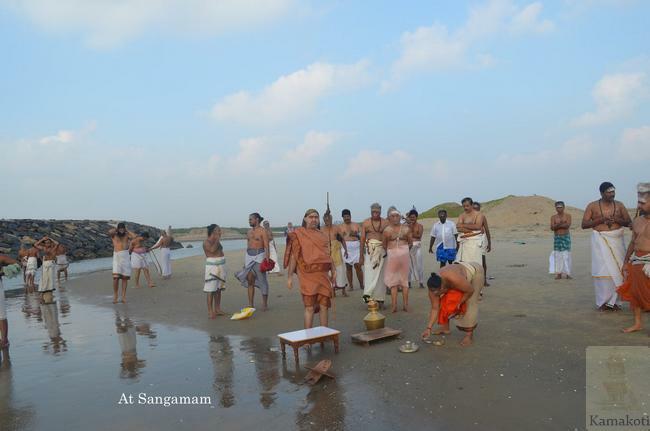 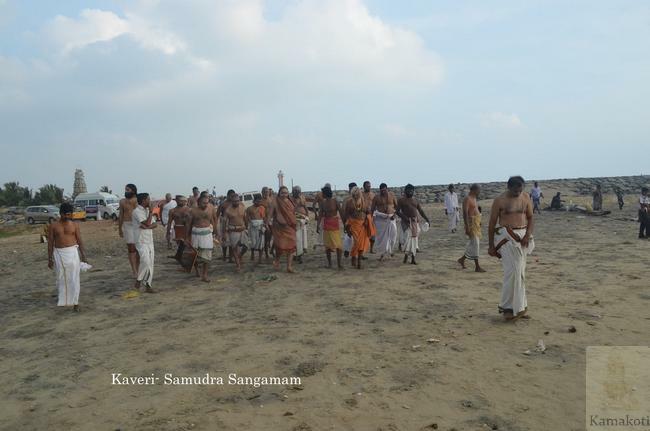 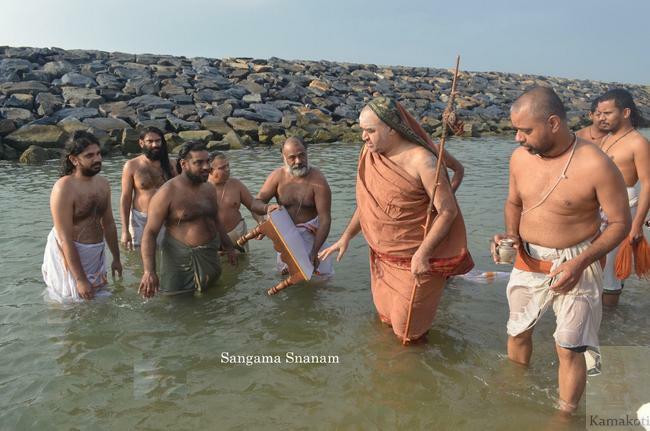 HH Pujyashri Shankara Vijayendra Saraswathi Shankaracharya Swamigal performed the Bhanu Saptami Vishesha Snanam at Kaveri Samudra Sangamam today (31 Jan. 2016). 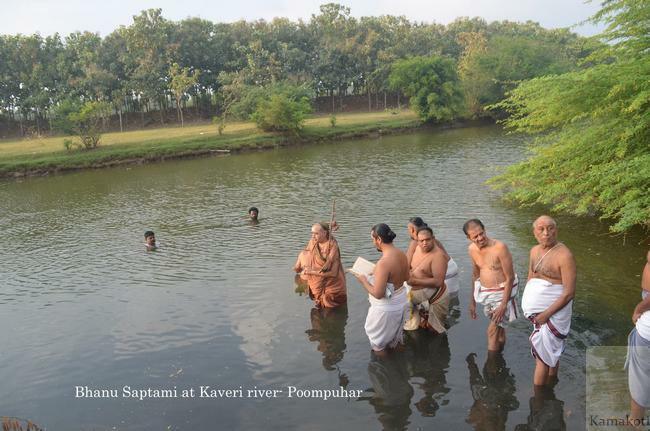 Bhanu Saptami means conjunction of Saptami Tithi with Bhanuvasara (Sunday). 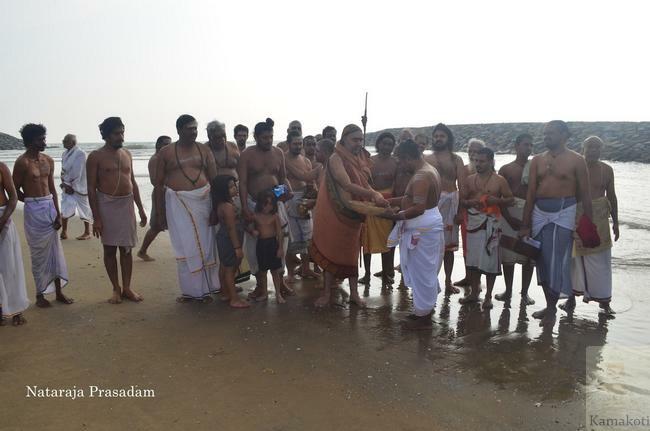 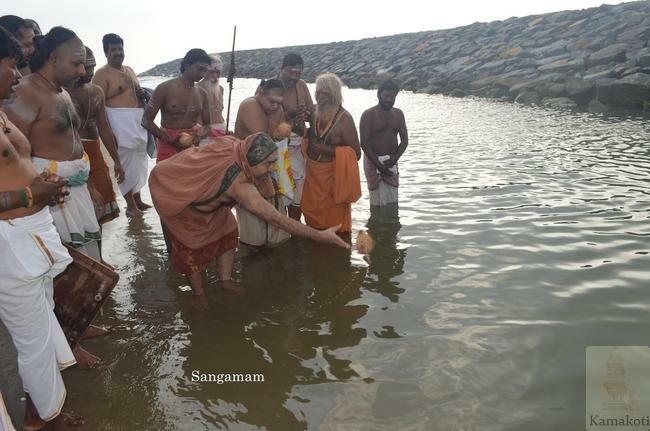 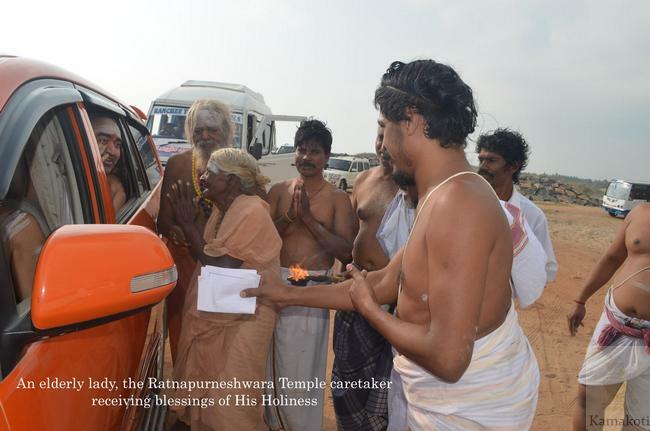 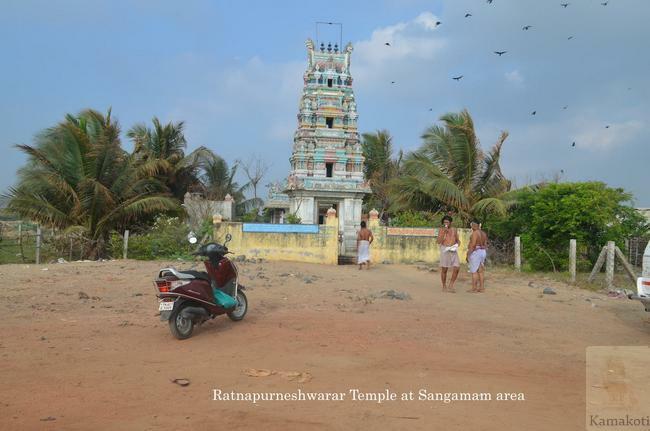 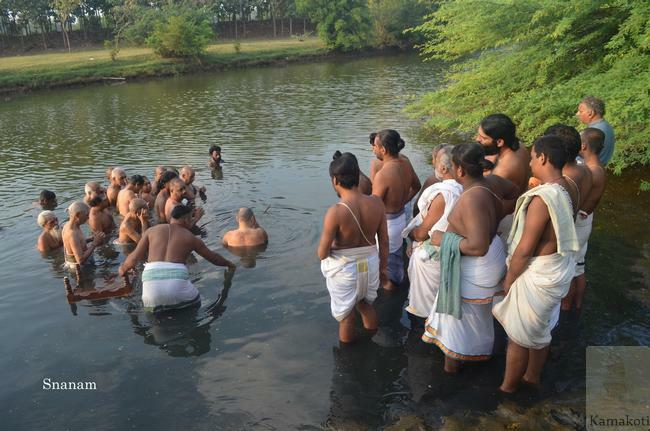 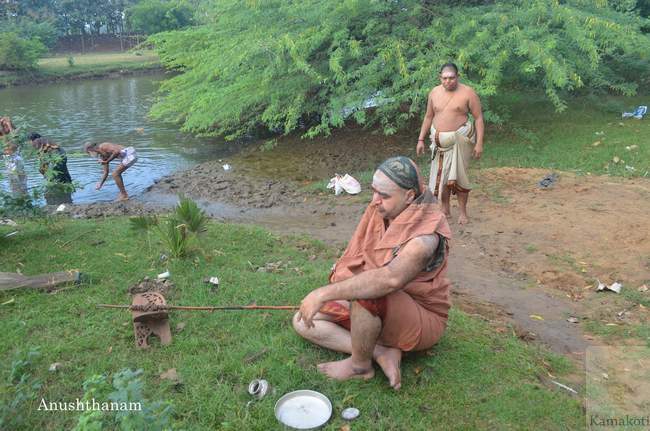 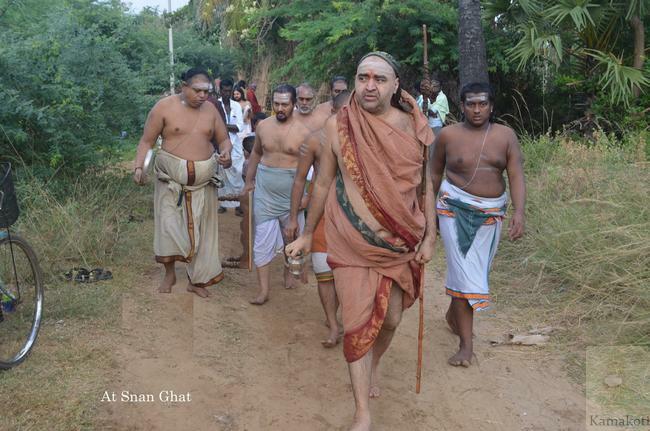 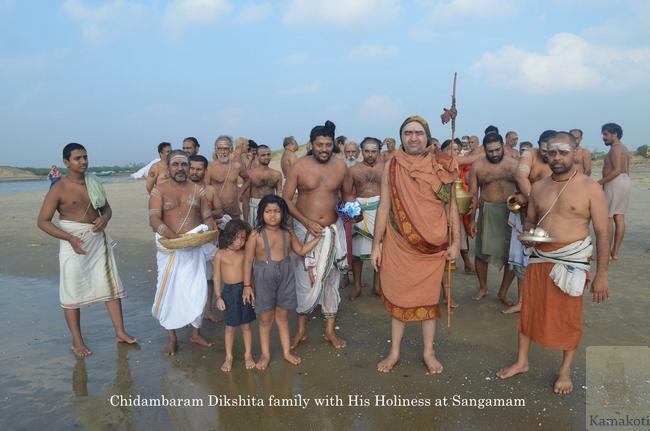 His Holiness first performed snanam at Kaveri river and then went to the Sangamam. 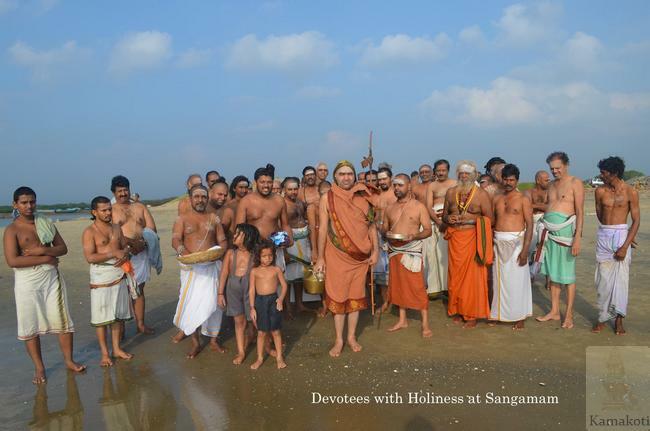 His Holiness returned to Srimatam camp and performed puja. 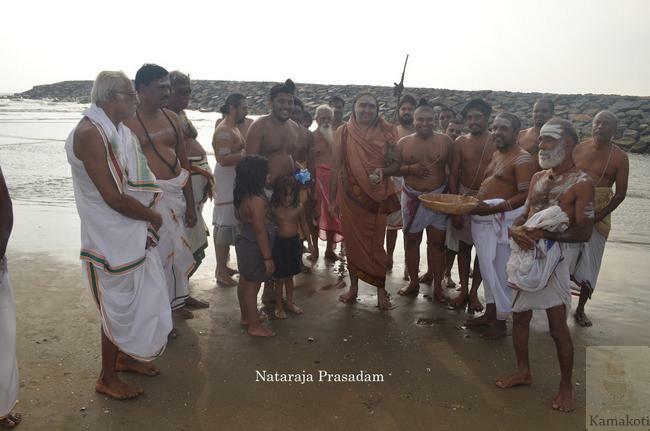 His Holiness will leave Poompuhar and proceed to Vedaranyam today evening.